Rose was born in Providence, Rhode Island to Grace V. (Powers) and Terrence P. Vallely on August 2, 1937. 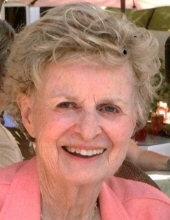 Rose passed on to her Heavenly Father on January 21, 2019. She was the sister of Terrence (Ted) P. Vallely Jr., who preceded her in death on August 29, 2018. Rose attended Catholic school from Kindergarten through the 12th grade, graduating from St. Patrick High School in 1955. Rose then attended Rhode Island College where she earned a Bachelor’s Degree in Elementary Education and became a first grade teacher in the Providence Public Schools. Rose earned a Master’s Degree from Rhode Island College, and did post-graduate work at Providence College, Salve Regina University and Johnson and Wales University. In 1967, Rose was appointed Director of Project Discovery, a federally financed program in association with Trinity Repertory Theater and the Providence School Department for 40,000 high school students. In 1969, she was appointed Assistant Principal at the Flynn Middle School in Providence. In 1971, Rose was appointed Principal for the William R. Dutemple School in Cranston, Rhode Island, where she served until her retirement in 1990. Rose married the love of her life, John J. Vestri, in 1978. They were married for 40 ½ years. Rose and John traveled extensively including the Holy Land, Medjugorje, Ireland and Italy. They also attended the Passion Play in Oberammergau, Germany. During her life time she was always involved in church ministries, such as a CCD Teacher, choir, President of the Rosary and Altar Society, Eucharistic Minister, Lector, Retreat Co-coordinator, Life in the Spirit, Cursillo and Birth Choice of the Desert (a pro-life ministry). Rose and John coordinated the RCIA (Rite of Christian Instruction of Adults) program for 10 years at Sacred Heart Church in Palm Desert. Rose was the step-mom of John Vestri Jr. (Susan), Nana to Jason (Jamie), Brandon, Siena Vestri and great-grandmother of Gemma Rose and Aurora Kendall Grace Vestri. Rose was the aunt of Debra (Chris) Leavitt, Robert (Nanette) Vallely, and Diane Vallely as well as other nieces, nephews and grand nieces and nephews. Funeral arrangements are under the direction of the FitzHenry-Wiefels Mortuary in Palm Springs and Palm Desert. Rosary and viewing will be February 4th from 4-7pm at the FitzHenry-Wiefels Mortuary on 690 S. Vella Road in Palm Springs. Her Funeral Mass will be celebrated on Tuesday, February 5th at 10:00am at St. Francis of Assisi Church on 47225 Washington Street, Father James McLaughlin will be the Celebrant. A reception will be held at the Woodhaven Country Club on Washington, after the Mass. Interment will be in Cranston, Rhode Island at a later date. In lieu of flowers, donations may be made in Rose’s name to Galilee Center in Mecca. Rose’s faith was paramount throughout her life. Her love of church, Jesus and the Blessed Virgin helped to carry her through her ordeal with two types of cancer. To send flowers or a remembrance gift to the family of Rose Ann-Marie Vestri, please visit our Tribute Store. "Email Address" would like to share the life celebration of Rose Ann-Marie Vestri. Click on the "link" to go to share a favorite memory or leave a condolence message for the family.